Worlds collided this weekend when tourists spotted Hillary Clinton’s top aide Huma Abedin and Tony Goldwyn at Disneyland together with their kids. Scandal’s Fitz and Abedin are apparently really good friends after meeting on the campaign trail last year. Heading to Disney with their kids was probably a much needed vacation after the crazy political hangover the aide and one of Clinton’s top celebrity backers went through this past year. The source added that Musky didn’t come along for all the rides because she was working in New York City. So seriously, you can chill on the Scandal-level assumptions. Abedin had her son Jordan Zain with her and Goldwyn brought one of his daughters, Tess, who goes to Northwestern University and often accompanies her dad to events. The foursome was spotted at Disneyland on the log flume, eating ice cream, and even got stuck on Thunder Mountain. Sounds like a day at Disney to us. Goldwyn gave a speech at the Democratic National Convention last summer in support of Clinton, Abedin’s boss. He introduced the Mothers of the Movement, whose children were victims of police brutality and spoke about his work with the Innocence Project, which seeks to release people from prison who were wrongly convicted. He may play a reluctant politician on Scandal, in real life, Goldwyn is very engaged in politics and social justice. Goldywn must have impressed Abedin, who separated from her husband Anthony Weiner last fall after pictures were released of him sexting with women on social media. 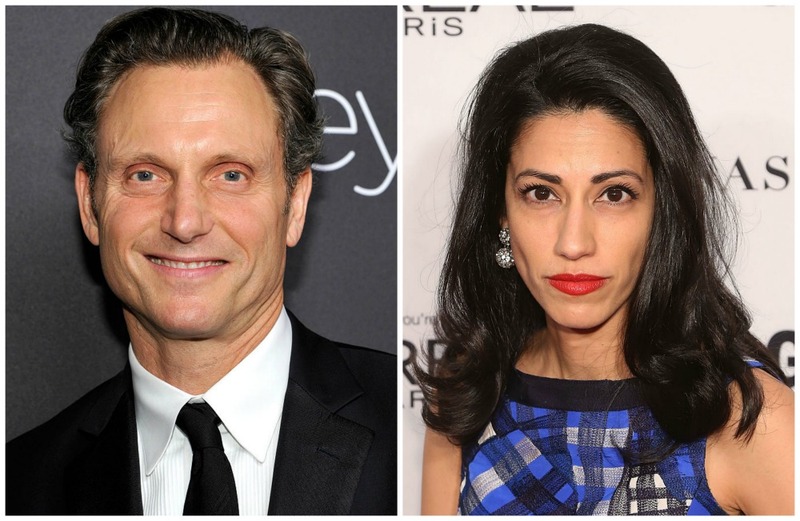 Clinton and Abedin visited the set of Scandal last year, where everyone from Kerry Washington, Scott Foley, and Goldwyn took a selfie with the then-candidate. Now that the fake president and the almost IRL president’s aide have hit Disneyland together, 2017 is basically one big TV show. We’re not mad.